← Fix the Virago 250 gearing ! Changing sprockets (gearing) on Yamaha Virago 250 to 17/38, 17/40, 17/42, etc. Yesterday a sportsbike passed me and it had an integrated taillight – the one with the turn signals, taillight, and brake light all in one unit. When they used their turn signal, it was not very noticeable. Maybe other integrated rear lights are better than the one they had, but that one I did not think was very safe. 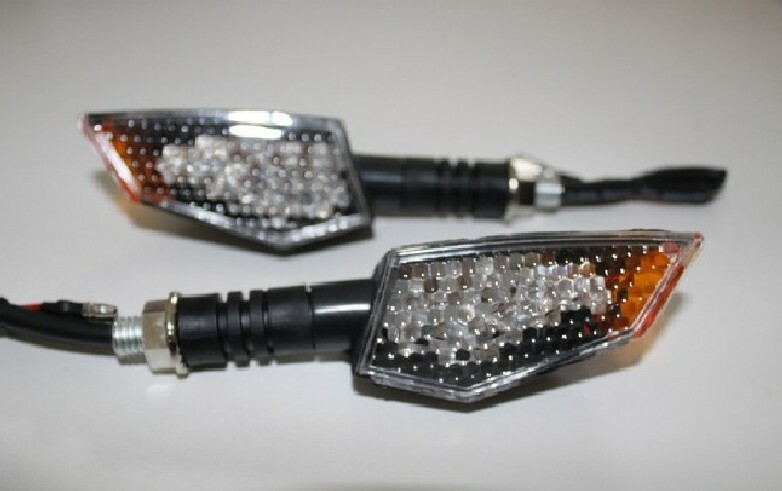 Motorcycle lighting – especially turn signals, taillights, and brake lights – are safety items – so they should be purchased based on performance first and looks second. Also, I believe that turn signals are safer when they are not located too close to the taillight/brake light (or the headlight, for the front turn signals). On my bike I have combination running light/turn signals in front – I just disconnected the running lights part because the turn signal was not too clear to see when the running lights were on. The turn signal is much more obvious now, plus I have other running lights in front. On my rear turn signals, I lost both my lens on the road last week plus now the left one has a broken bulb holder. I am going to try construction adhesive (the one that works on metal) on it tonight, and if that doesn’t work, I am going to replace them with one of these two. 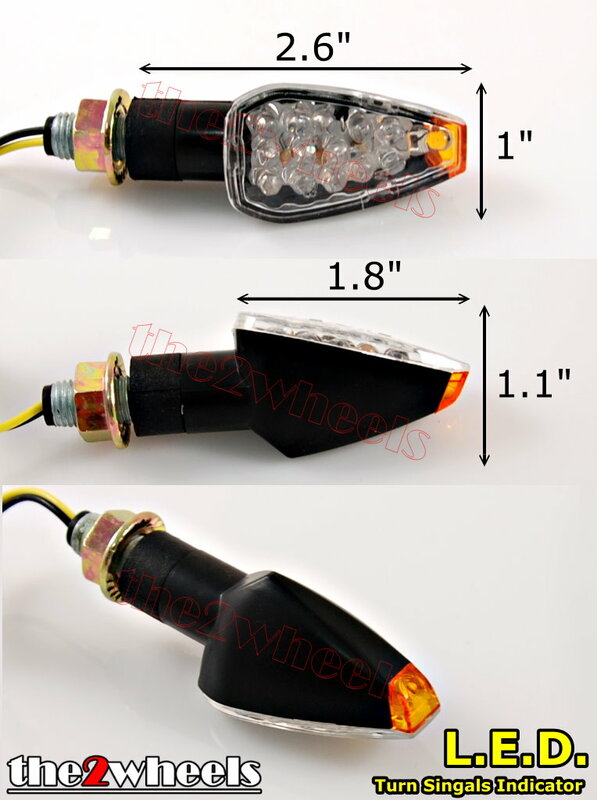 I believe that LED’s are great for motorcycle turn signals because they have a faster response and are more vivid than incandescent bulbs, even though incandescent bulbs might be brighter in continuous use (not flashing). Some LED turn signals are also visible from the side – which is a great safety feature. Quite a few sellers on ebay have them, but for some of these it is hard to tell if they do this or not – sellers should put “visible from side” in the ad heading. -Les S.
This entry was posted in Motorcycles and tagged 250cc, LED turn signals, Motorcycle lights, Motorcycle safety, Motorcycle turn signals, V-Star, Virago 250, XV250, XV250 turn signals, Yamaha. Bookmark the permalink.